Hello! 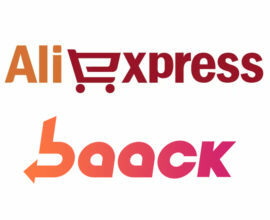 Today I’ll tell you how to shop on Aliexpress with cashback, i.e. how to make purchases and immediately get some of the money back. Yes, as of today you will start saving! The partial refund of the money you spent is called cashback. The refund is done by the seller, though it’s not done directly. But why? It’s very easy to understand, all the sellers, are interested in attracting as many buyers as possible and selling the maximum goods. Therefore, they are willing to pay someone who will help them in this and attract customers. 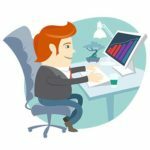 This is the business of special companies and today I will tell you about the most profitable one — baack.com. Naturally, there are many cashback services available today. But not all of them work with AliExpress. In addition, not all of them refund the same percentage from the purchase. 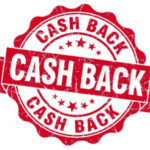 The biggest cashback and, by the way, the most user-friendly interface is offered at baack.com (click on the link to be redirected). Register on the portal and you will get the refund of a percentage of the cost of the purchased goods. The way it works is simple: Ali pays the cashback company for bringing you to their website, and you receive a portion of this amount at each purchase. This is done automatically, and the amount is immediately credited to your account. Great, isn’t it? This services works with over 250 online stores. You can get back up to 50% of the cost of the goods, which exceeds the offer of other cashback services. Upon registration, you get access to your personal account, where you see the amount of the cashback and the available ways to withdraw the accumulated cash. By installing the plugin baack.com, you will immediately see if the service applies in a given online store. Baack.com pays you «cash», and not with some sort of points. You can withdraw money from your cashback to a bankcard, a phone number or an electronic wallet. 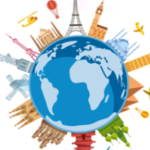 They offer an affiliate program, which allow you to bring a friend (or several ones) and receive 50% of their cashback. Some people get even more money this way. This is to say that I find baack really great. Perhaps, the only con being the minimum amount for the withdrawal. But if you are a regular buyer on Alyexpress, the cashback service will be rather satisfying!